Happy Thursday (aka almost Friday)! We have some very exciting news over here at Sweet Orange Fox that I just have to share with you all. 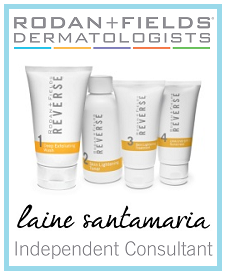 We are beyond thrilled to have a new sponsor and friend, Laine Santamaria, an independent consultant for Rodan + Fields Skincare. It seems like I can't go anywhere or read anything these days without hearing a mention of R+F, and since I am always on the lookout for a new skin care product, I was thrilled to bring Laine on board as a sponsor and try out some of the products. I am anxiously awaiting the arrival of my customized line/regimen, and you know I will review it asap! But...judging by Laine's amazing skin, I can already tell I am going to LOVE it. 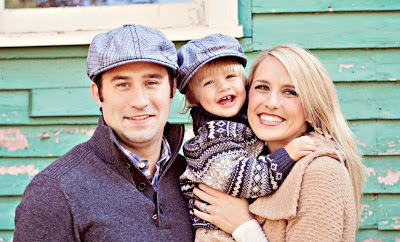 PS...isn't her family adorbs?? And I have to tell you...it was super easy and super cool...I filled out a short questionnaire in less than two minutes, and the two doctors at R+F put together a set of products designed specifically for my skin. I mean...I think I need one of everything, but I decided to leave it up to the experts. I can feel my pores shrinking already just from the anticipation! Stay tuned for a review, and feel free to contact Laine with any questions and read more about her story here. This entry was posted on Thursday, June 13, 2013. You can follow any responses to this entry through the RSS 2.0. You can leave a response. Lucky! I have always wanted to try their stuff!